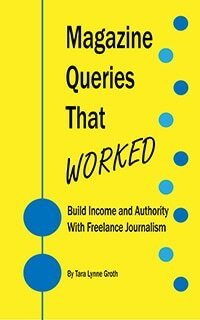 Where Did My Freelance Clients Come From? When you travel you find yourself far from home (hopefully) in an exciting place where you can be out of your element. At your destination, do you stop for a moment and revel in everything that brought you there? The time you spent packing, the plane ride, the time you spent finding a flight, even further back—the work you did to earn the money for the trip in the first place. Each step is a link in a larger chain. I stopped at the post office and picked up a handful of checks over the weekend. My invoices are sent on the final Friday of every month, so the first two weeks of the month are a financial waiting game—hoping everyone pays on time. It’s especially important this month since quarterly tax payments are due to the IRS next week! When I got home I entered each check into QuickBooks. Then I used my new handy dandy stamp from Vista Print to stamp my freelance writing account number on the back of each check. (I LOVE this stamp! I have been meaning to get one for years and it saves me so much time now that I don’t have to write out the entire number on every check.) As I stamped away I thought about all the work I did last month that earned this money. Then I thought about each client. Source: My former employer referred them to me. Source: Marketing professional I “met” through a dating site last year. I have never met the marketing consultant or the dentist in person. Source: Craigslist. I have never met them in person. Source: I called them directly. This is really insightful and motivating. Never cold-called before, but I think I’m going to give it a shot or seven now. Thanks, Trevor, glad to help! Definitely try cold-calling. It is not my favorite thing to do, but it does work!